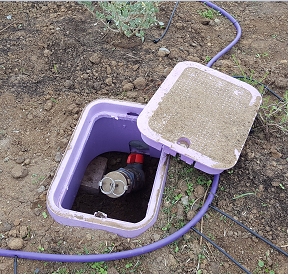 Purple Pipe Water Services provides irrigation solutions and delivery of recycled water to parks, schools, playgrounds, and sports fields during the morning hours. We are currently contracted with the City of Palo Alto, and we service naturally landscaped restoration sites in the cities of Mountain View, Los Altos, East Palo Alto, and Menlo Park. 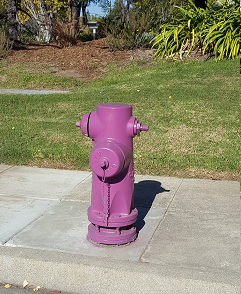 Purple Pipe Water Services delivers recycled water and reclaimed groundwater to city landscaping: pocket parks, street median strips, and trees. We are currently work with the City of Palo Alto, to deliver and apply reclaimed groundwater from basement construction sites for landscaping purposes. We also service naturally landscaped restoration sites in the cities of Mountain View, Los Altos, East Palo Alto, and Menlo Park. We support youth sports and are dedicated to keeping these parks and sports fields green for children and adults alike to play on year round. Please contact us to schedule a free consultation.